Art Print: Mr Mustard has taken to his trusty caravan to explore the countryside and Doris and Stripes have tagged along too! Looking quite content standing outside his 'Home from Home', Ernest Mustard holds onto a little red potted-plant whilst his white scarf blows in the breeze. 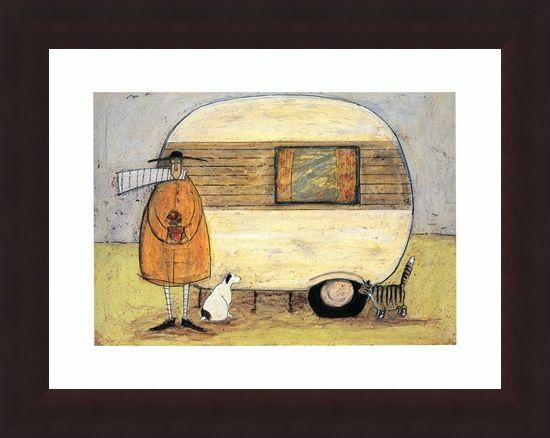 A simple setting which radiates the whimsical appeal of Sam Tofts art work, this print encompasses the texturized style and wonderful narrative Toft effortlessly entwines within all her pieces. 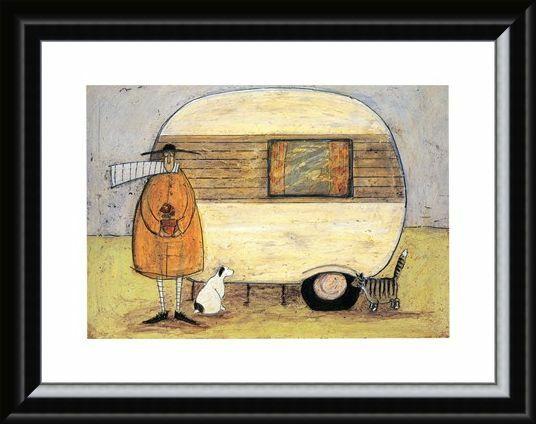 So, why not invite Mr Mustard and his animal friends into your home with this fantastic print? 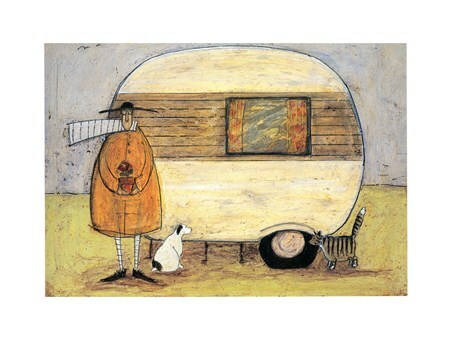 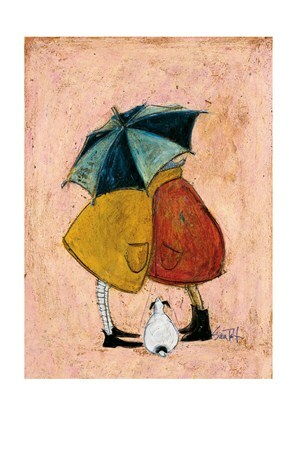 It will be an everlasting postcard from this fantastic characters travels which will brighten up any home. 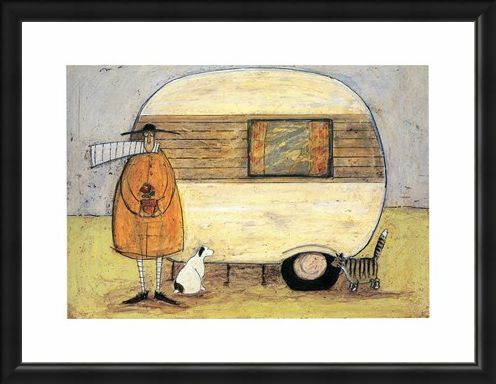 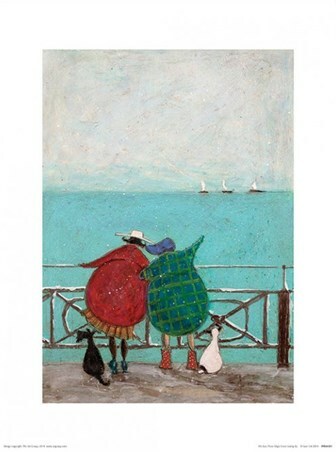 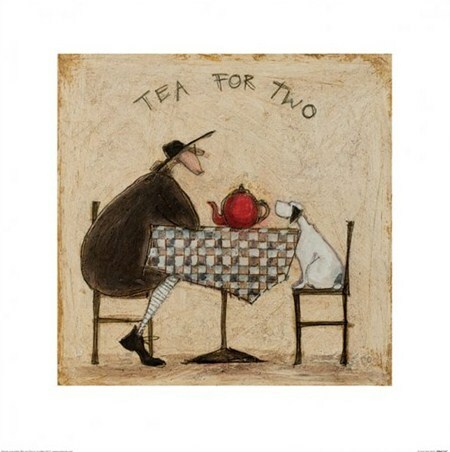 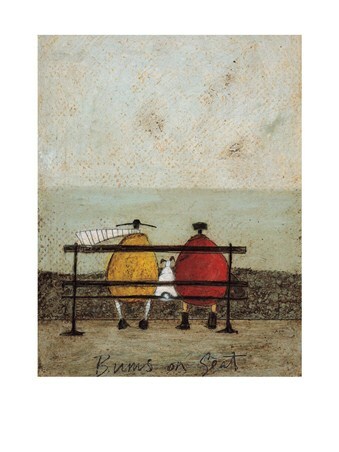 High quality, framed Home from Home, Sam Toft print with a bespoke frame by our custom framing service.